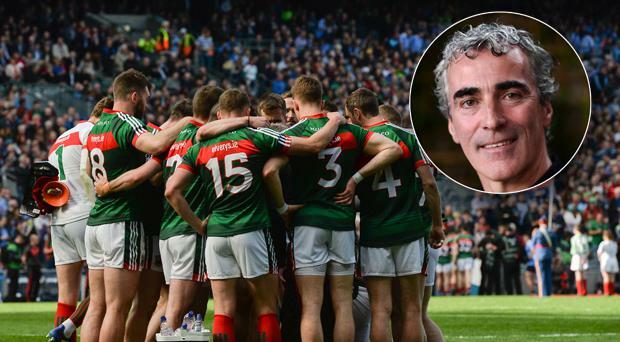 Mayo will consider trying to entice Jim McGuinness into becoming their new football manager should Stephen Rochford end his time in charge. After guiding Mayo to back-to-back All-Ireland finals in his first two years in charge, Rochford's side exited the Championship this year after a third round qualifier defeat to Kildare in Newbridge. They have also suffered three straight defeats to Galway in Connacht. Since the Kildare defeat, Donie Buckley, Peter Burke and Tony McEntee have left the backroom team and Rochford is expected to decide on his future in the next 10 days. According to a report in today's Irish Sun, Jim McGuinness is being lined up as a potential successor to Rochford should he stand down. McGuinness delivered Sam Maguire for his native Donegal in 2012 but his focus has switched to soccer since he left his post with the Tír Chonnail men. Having acted as an assistant to Ronny Deila at Celtic, McGuinness made the move to the Far East but left Chinese club Beijing Sinobo Guoan in January in search of a job in Europe. While it's believed he would prefer another soccer role, he may be tempted into joining Mayo's quest for a first All-Ireland title since 1951. He has also been linked with a role with Galway United.